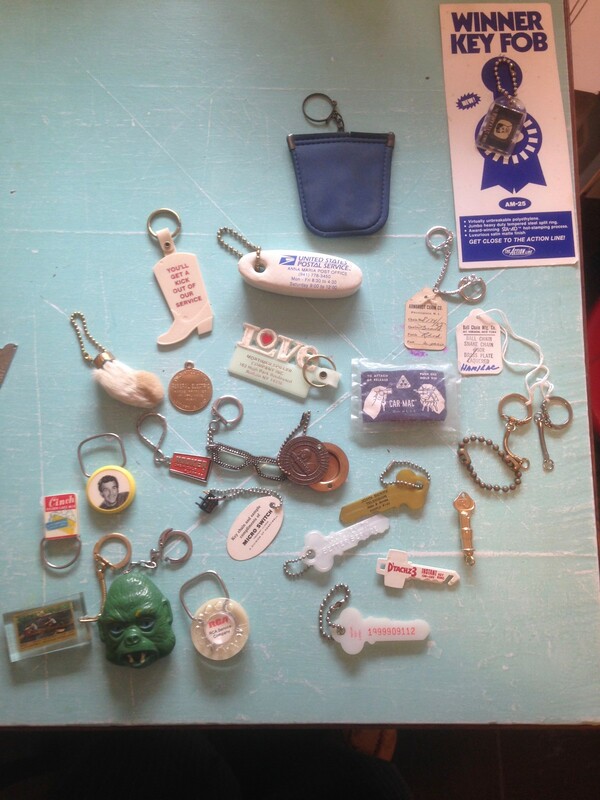 From the late 1940s through the 1990s, my parents ran an advertising and sales promotion business that manufactured many items, including metal and plastic key ring tags. The idea was that you could have your business’s name and contact information printed on these items, which could then be given away to customers. It was a more conversational way of doing business in the pre-internet era. My parents’ samples — assorted key chains, fobs, rings, and so on, all of which they’d show to potential clients — once filled three heavy drawers, but the collection is now down to less than 100 pieces. I’ve given many away, including 60 to our son’s third grade class as mementos when I taught a lesson on keys. 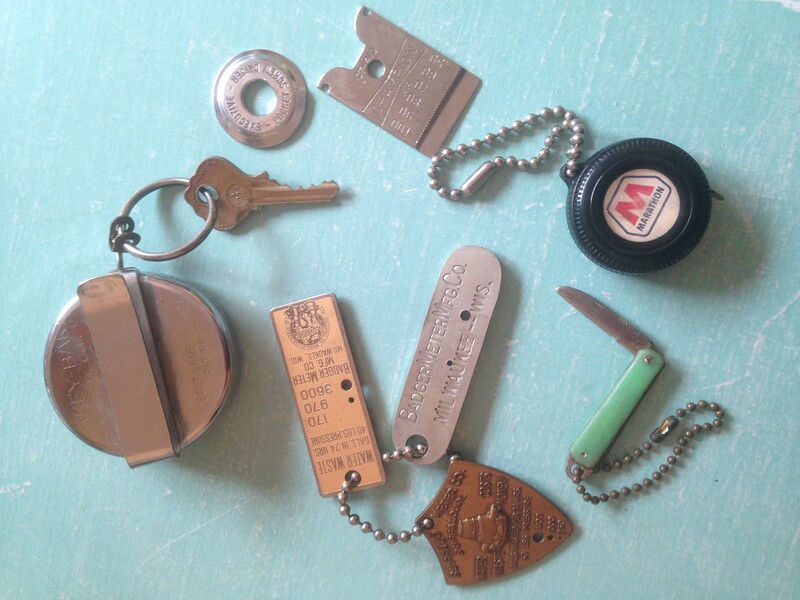 Many of the remaining key tag samples are novelty items that double as tools: bottle openers, knives, measuring tapes, spark plug sizers, and a particularly sweet “Executive Pocket Screw Driver" that adjusts to fit different-sized screwheads. 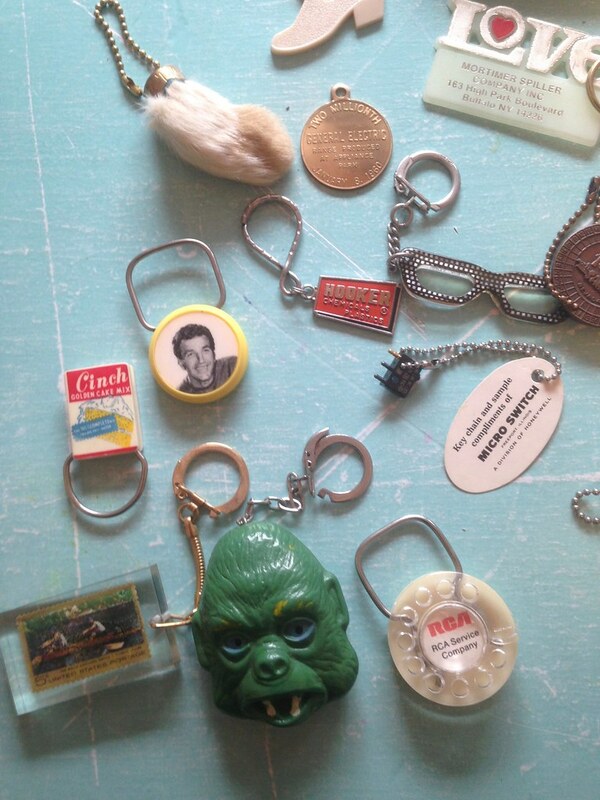 Some of the other tags symbolize good luck (real rabbit’s feet, shamrock patterns), while others feature fanciful miniatures of commercial products (a box of Cinch Golden Cake Mix, an RCA rotary telephone dial). Still others celebrate corporate milestones, like the two-millionth General Electric range produced at a Kentucky factory in 1960. They were all playful and entertaining, and my sisters and I loved to pore through them, picking out our favorites. When I left for college in 1977, my father gave me a bronze fob he’d made for Benny Binion’s Horseshoe Club, a now-defunct Las Vegas casino. It was the first fob in a numbered series — No. 0001. Mr. Binion was a true Vegas character, known for his $2 late-night steaks, 5¢ shrimp cocktail promotions, and some less savory exploits, and having his fob on my key ring gave me a bit of a vicarious thrill. Unfortunately, I lost No. 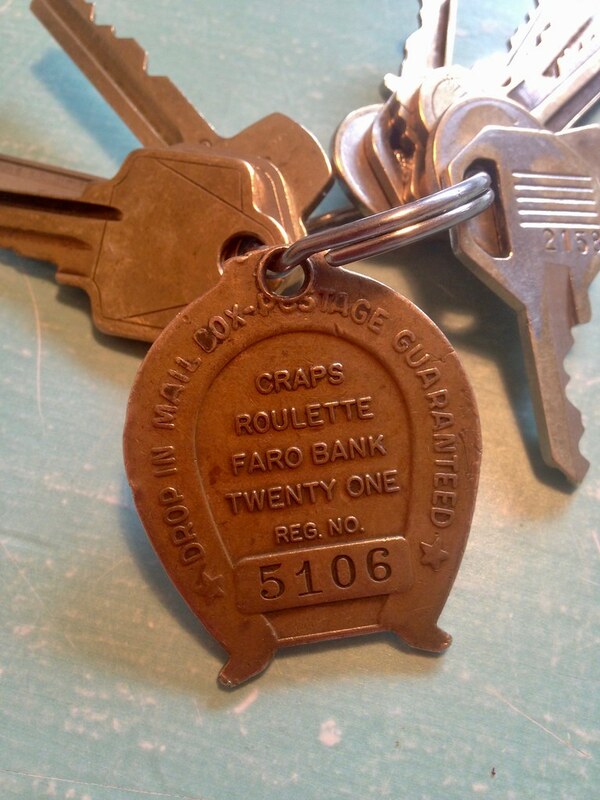 0001 a few years later, but Dad replaced it with his last remaining Binion key tag — No. 5106 — which he had retained as a sample. I’m not sure if the horseshoe actually brings good luck, but every time it jingles I think of Dad’s winsome smile, and of a gift that was so good, he gave it to me twice.